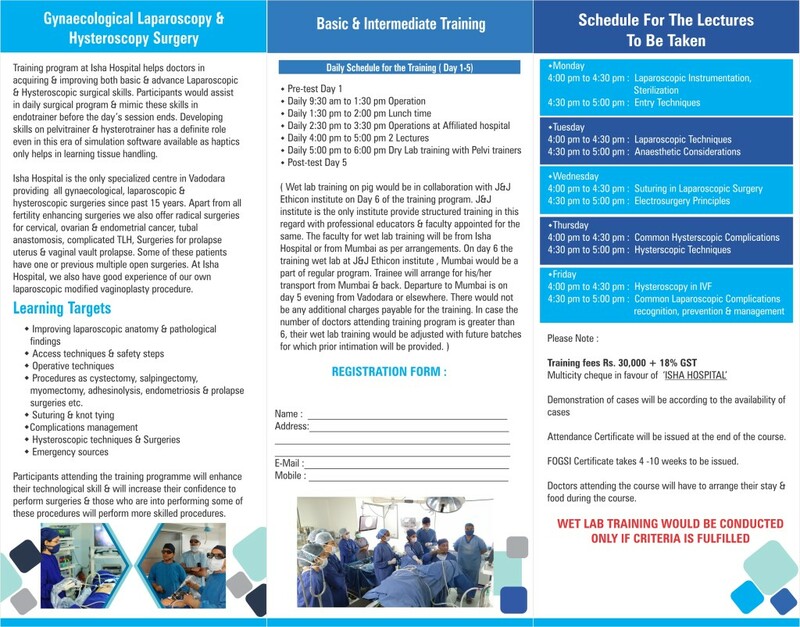 Download Application form for training courses Basic / Advanced Gynecological Endoscopy Program, offered at Isha Multispeciality Hospital. Kindly note our upcoming Training Schedules are updated on Facebook (isha.hospital) as well as on our website. 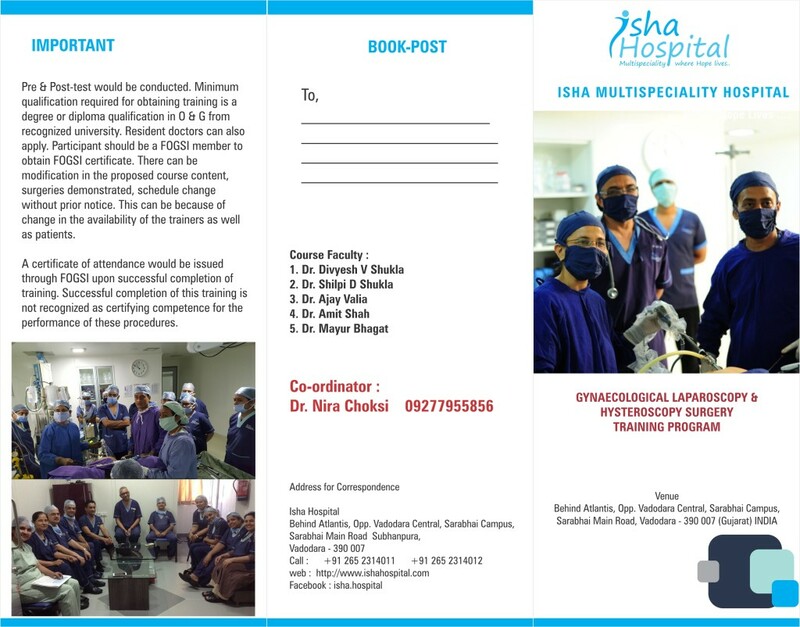 Any queries pertaining to the Training schedules, please mail to info@ishahospital.com We shall get back to you as soon as possible.